Enhancement of self-esteem is an important part of Pine Hill program. 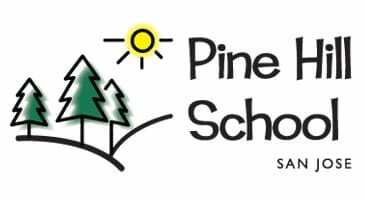 Pine Hill teaching staff works in conjunction with counselors, administration, and parents to establish a comprehensive educational plan for each student. 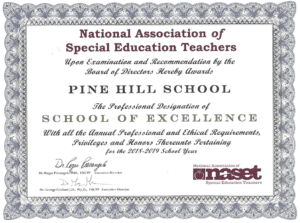 Pine Hill School employs Administrators, Teachers, Behavior Specialists, Counselors, and Speech and Language Therapists to provide a team of qualified professionals, which supports students in the classroom. The satisfaction and effectiveness of working in the classroom are directly dependent on a unified team. We believe that information gathered from various perspectives and disciplines is essential in understanding and addressing the student needs effectively. Pine Hill firmly believes that students can and will succeed when provided with a supportive, structured and exciting learning environment. We recognize individual differences and meet each student’s needs with professionalism, insight, and the vehicle to provide students with the tools to success, positive self-image, and personal and academic growth.